Rollingstoner is a golden-colored blended sour ale brewed with water, barely malt, corn, elder flowers, hops, and yeast. If you've ever driven down Highway 61 in the summer, you'll recognize my inspiration for the beer: lowlands filled with corn fields and lined with white-flowered elderberry bushes. 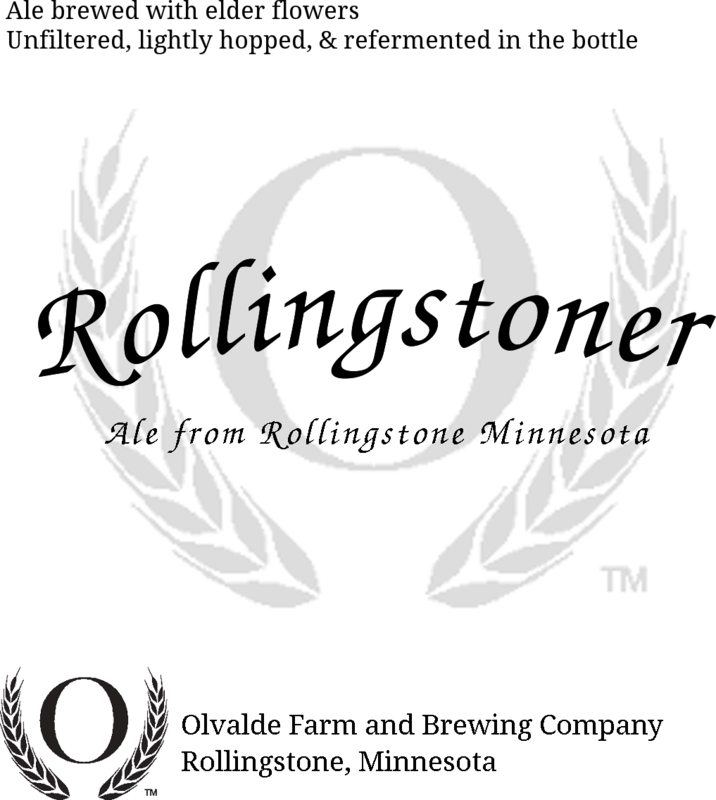 Like all Olvalde ales, Rollingstoner is an unfiltered real ale - fermented in the package - brewed without the use of processing aids. Light yet complex with medium sourness, with fruit, floral, spice, and white pepper notes. Serve cold or at cellar temperatures. It's packaged in a 22oz 'bomber'.